CHAMPAIGN, Illinois - The University of Illinois Division of Intercollegiate Athletics has announced it will partner with Collegiate Consulting to perform all outgoing ticket sales for all of the Fighting Illini's ticketed sports. The Big Ten program joins a family of 12 other Division I athletics departments that currently utilize the Atlanta-based firm for ticketing support, including fellow conference member Purdue University. "It's a privilege to work with the University of Illinois and its Athletic Department," said Collegiate Consulting Vice President of Ticket Sales and Services Jason Lai. "The opportunity to add another Big Ten program is a testament to the success we have with our existing partners. Illinois has an incredible fan base that we are looking forward to working for. It is a very exciting time for both Illinois and Collegiate Consulting." Collegiate Consulting will hire a staff of six people including a general manager to increase ticket sales and revenue for all ticketed sports. With an expected start date of July 22, the staff will be placed on the University of Illinois campus in time to begin ticket sales prior to the new academic year. Collegiate Consulting will operate out of the State Farm Center (formerly Assembly Hall) on the Champaign campus. "We are very excited to partner with Collegiate Consulting for our ticketing operations," stated Illinois Senior Associate Athletics Director Warren Hood. "The Illinois athletics department is looking forward to growing our fan base and providing the best ticketing service available." Once on campus, Collegiate Consulting's staff will commence 2013 football ticket services, including the sales of mini plans, groups and new season tickets. Additionally, the team will aid in the sales neutral-site athletic events, such as the Chicago Homecoming for football at Soldier Field on September 14 against the Washington Huskies. The 2013 football home schedule features impressive matchups against conference foes Wisconsin, Michigan State (Homecoming), Ohio State and Northwestern. About Collegiate Consulting: Collegiate Consulting is a comprehensive solutions-based consulting company focused exclusively on the collegiate marketplace. Featuring a team of experienced and proven individuals, Collegiate Consulting enables athletic departments and conferences to increase revenue, create efficiencies and maximize operations to succeed and prosper in a diverse climate. Collegiate Consulting was founded as a partnership with Strategic Marketing Affiliates in 2005. Since its inception, Collegiate Consulting has worked with over 325 institutions. For more information, visit: www.collegiateconsulting.com. 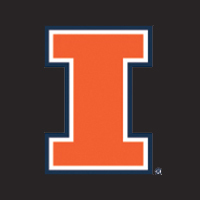 About University of Illinois Athletics: The University of Illinois at Urbana-Champaign has historically ranked among the nation's most distinguished teaching and research institutions. The largest public university in Illinois, the U of I campus was chartered by the state in 1867, as the Illinois Industrial University, and opened its doors to students in 1868. Illinois features a premiere Division I athletics program with a mission to provide a superior experience for all of our student-athletes while creating the highest quality athletic program that will support and enhance their ability to compete for championships in the Big Ten Conference and the National Collegiate Athletic Association. The University is a member of the Big Ten Conference and supports 23 varsity sports that compete at the NCAA Division I level. For ticket information, visit: www.fightingillini.com.